At first, I thought that this was going to be an ordinary trip to an out-of-state anime convention while taking some time off from work. But by the time both Ryan and I arrived back in Sacramento on 19th of January, we realized that it was more than ordinary; this was a journey that none of us would forget. 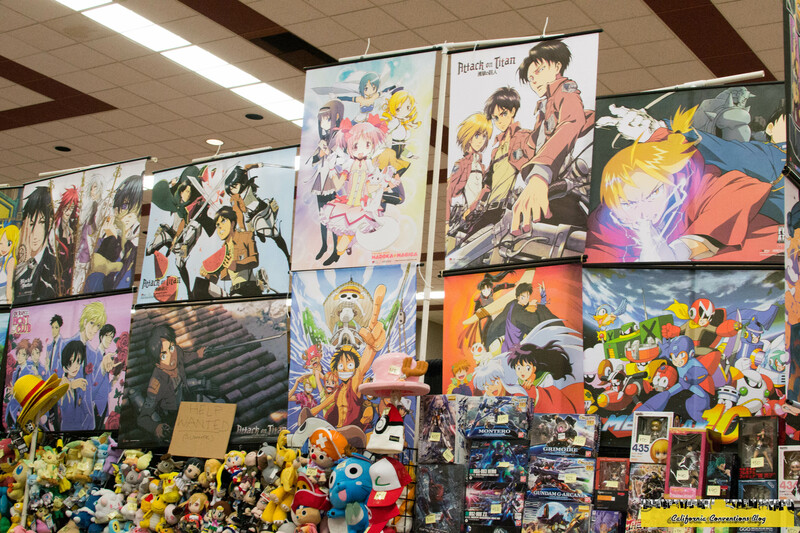 It seems that planning conventions in January is the hardest since the majority of the time they're planned out last second more than months in a advance (like planning for Fanime or Anime Expo). Transportation wasn't set at least a couple of weeks before the convention took place; I had plans to fly out to Sky Harbor International then take a rental car to Mesa, but once Ryan came into the picture we decided to road trip it again through California and Arizona. 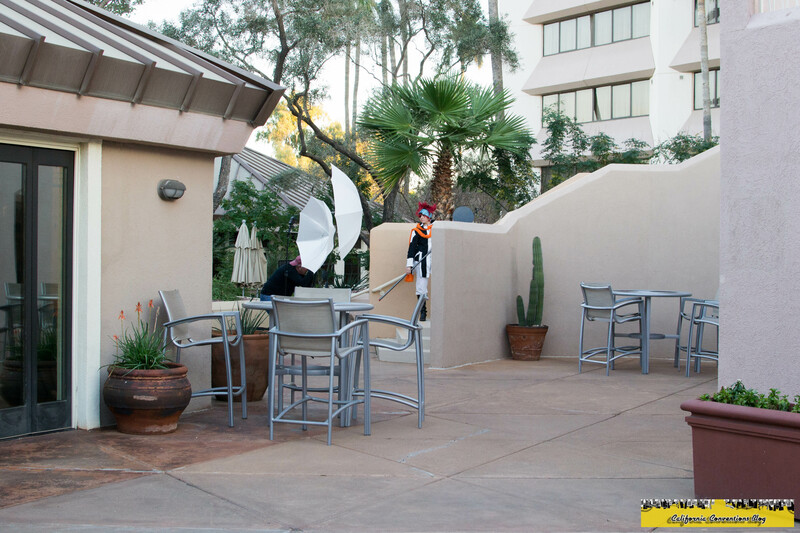 At least the hotel had been booked back in September after the announcement of the Persona guests of honor. Day Zero began in the foggy city of Sacramento as Ryan and I departed towards Long Beach to get half of the trip under our belts. The entire drive ranged from some visibility to no visibility at all and it was only until we passed the Grapevine when we finally saw sun and clear skies. The majority of the drive consisted of playing music from the PERSONA MUSIC LIVE series as well as discussing what the setlist would be for the contest that was in two days. In order to reach the convention center and the hotel in due time, we had to depart from Long Beach around 6am. That's not considering the time zone jump from Pacific to Mountain, one hour forward. The only clocks that didn't change was on the car. Our phones changed automatically while I already had changed the time on my fitness watch. I remember stopping outside of Ehrenburg, AZ right after we crossed the border and asking the attendant "what time is it?" while stopping for gas. The time change was the only thing that seperated the drive yesterday from the drive today. Eventually we reached the suburbs and then the downtown area of Phoenix then realized that we had another twenty minutes to the suburb of Mesa. 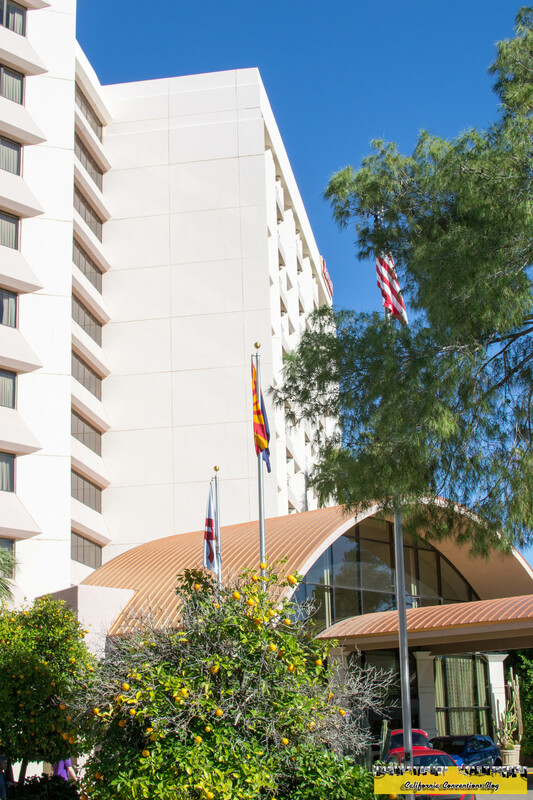 The front of the Marriott Mesa. As we got into the hotel,checked in, grabbed our press badges, and established ourselves within the room, we still had to run to the grocery store to get food - something that usually is done on Day Zero. Luckily we were able to do so before the evening portion of the convention kicked in. Photo shoots already under way. 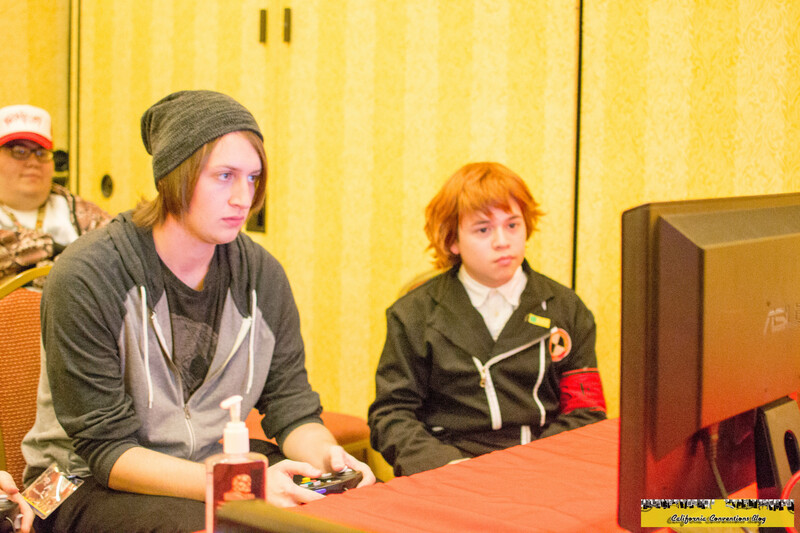 Pokemon battles with one of the Taiyou Con Pokemon League Gym Leaders. The usual fare of shopping at the Dealer's Hall. 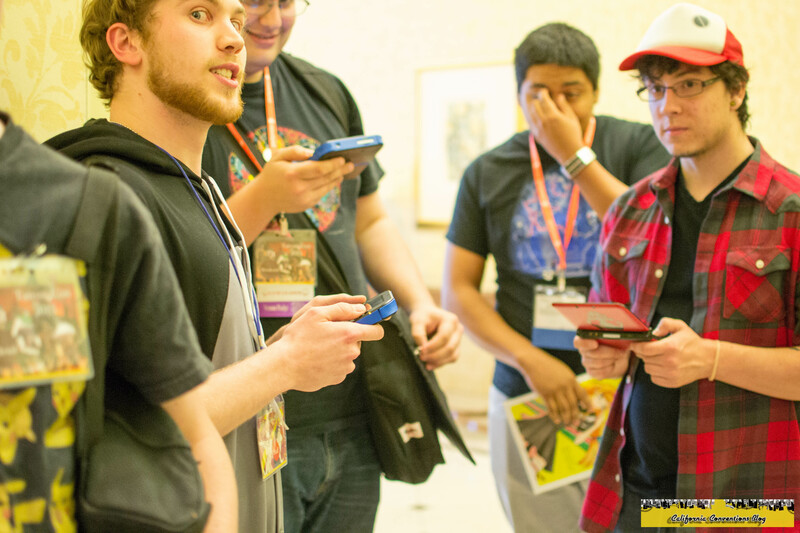 This convention did seem a bit quiet, but most of us - including the two other people who were in our room for the weekend, Michael and Danny - chalked it up to the typical slowness of Day One and that Days Two and Three would pick up. That could be said for those who had shown up for what we coined "Persona Con." This convention had attracted people from Canada, Brazil, and Equador, and from within the States like Texas, Ohio, California, and Oregon. 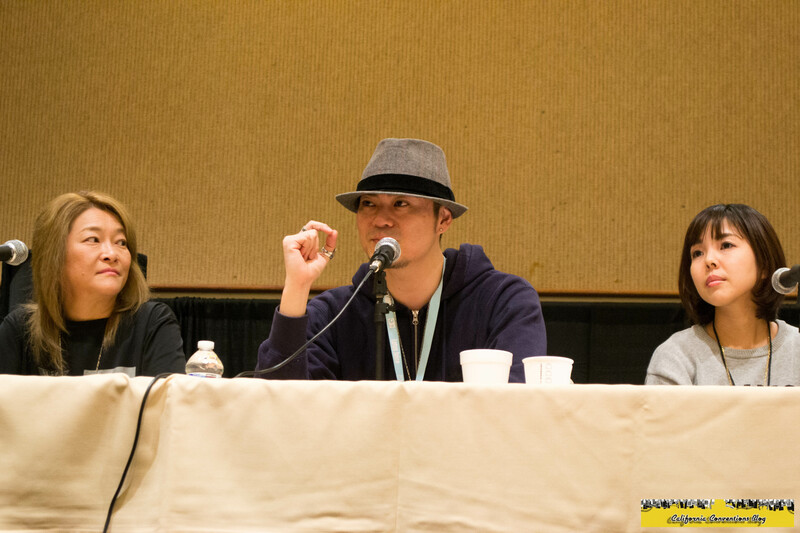 And the Persona fans and cosplay were out in full force during the weekend, so if you were there just for "Persona Con," then it was a lot more busier starting with the Q&A panel that was slated for Friday night. Yumi Kawamura, Lotus Juice, and Shihoko Hirata answering questions. Fans lining up to ask their questions. 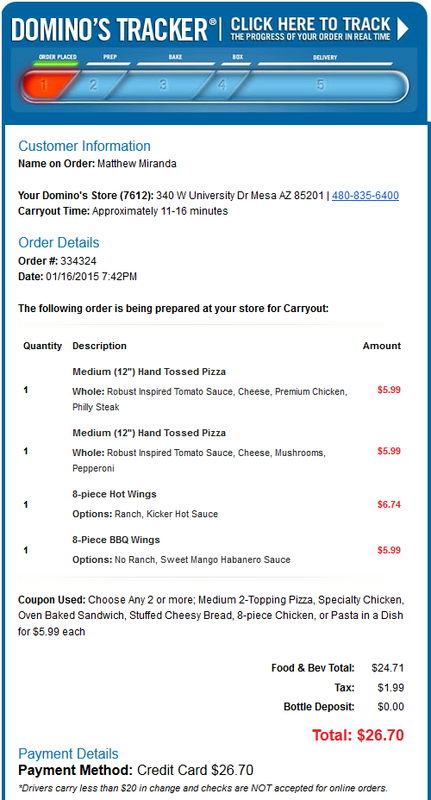 After the panel was over, we ordered up some Domino's Pizza that was a half-mile away from the convention center, a five minute drive. In the era of "everyone is on their smartphone," orders can be made on an app and picked up minutes later which is what we exactly did. 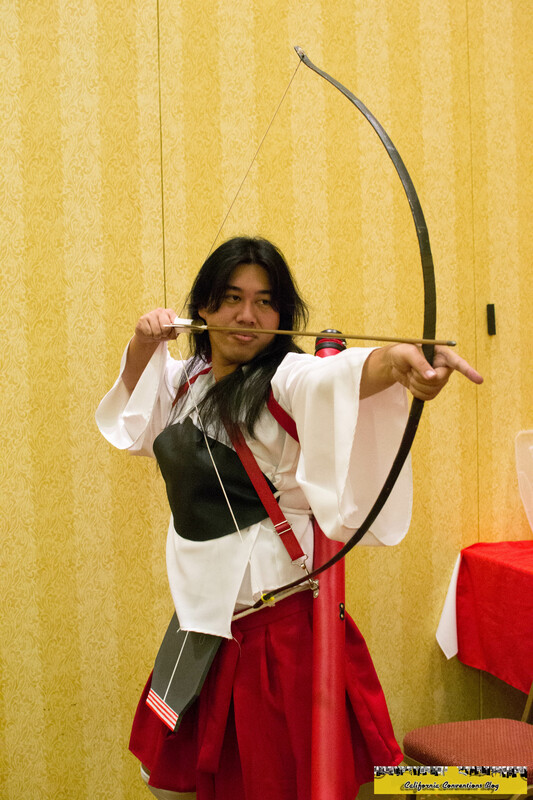 After eating back in the hotel room and toasting to the new year while being at Taiyou Con, it was off to the night portion of Day One. 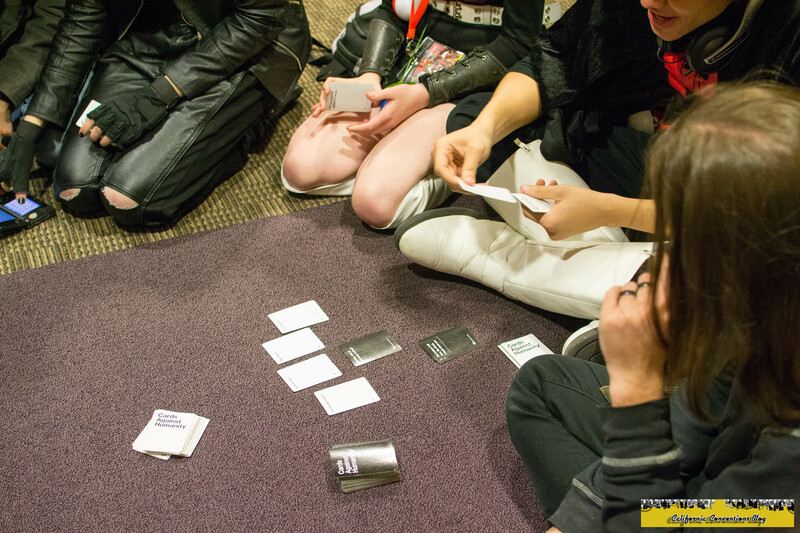 Cards Against Humanity is always a convention staple. One of the events that I found to be interesting was the late-night lounges that took place both on Friday and Saturday over at Cafe Azul. Tonight was the Dobutsu Lounge, aka Monster Girl Lounge. 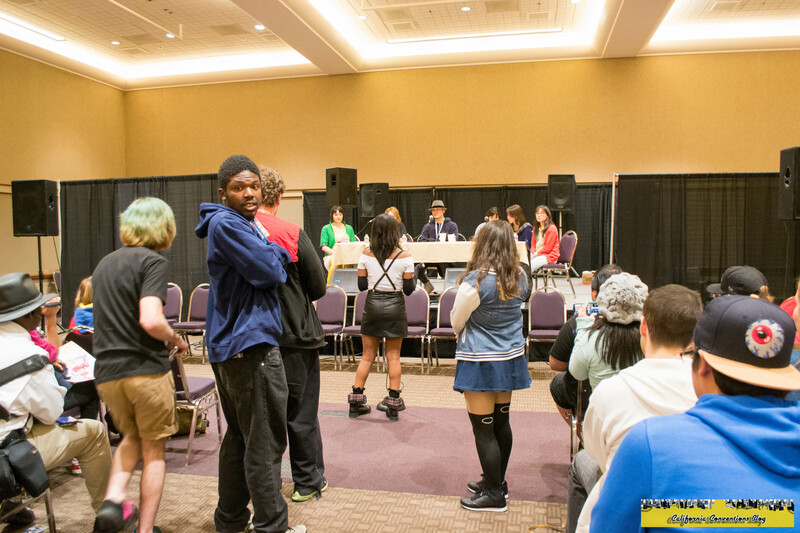 During the lounge they had an auction where you could pay to spend time with one of the ladies, and given my streak of trolling auctions in general at anime conventions I made everyone overpay for their time except when I won my auction for a mere 10 dollars. I could of had another lady at my table because I bid with a concert ticket but after one extra bid I stood quiet happy with my results. A selfie with the lady that spent time with me. Taiyou Con also is the first convention that I've heard of to have their own custom drink menu inspired by anime and video game titles. I found it hilarious that the one category that's most repesented over the weekend had the highest average drink price. Soon enough, it was time to call it a night because we had a very long Satuday ahead of us. 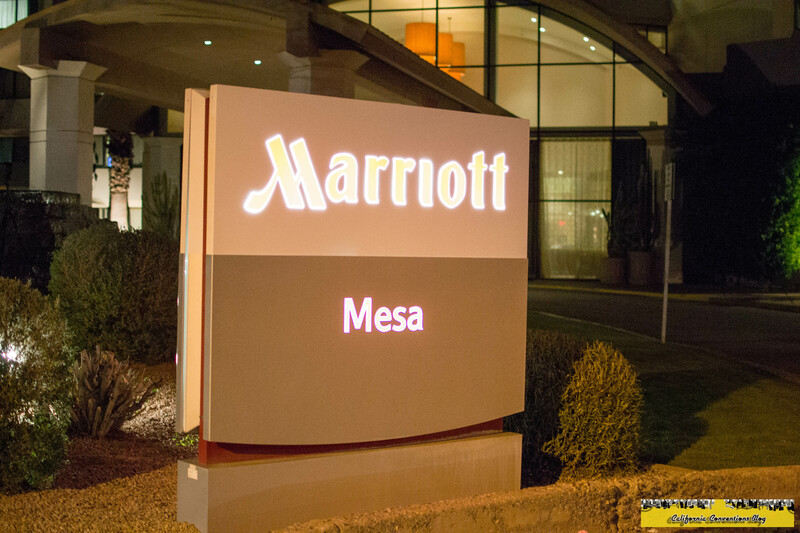 The Marriott Mesa sign lit up at night.